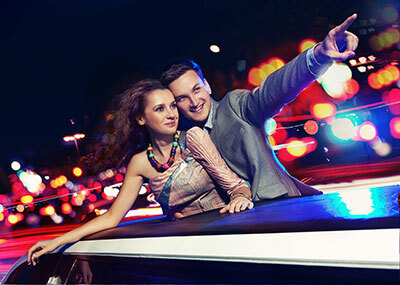 San Antonio Top Limo is ready to let you have the night of your life. Party on the town with your friends in one our luxurious limousines. Call up all your friends and get ready for an amazing night all around San Antonio. If you’re ready to have a great time all around town at some of the best locations, then give us a call and we can set up a time to come pick you up. Our professional chauffeurs will take you to some of the hottest destinations in San Antonio safely there and back home. Get ready to hit the town for some party time. With our sleek limousines, you’re sure to catch attention from anybody walking along the streets of San Antonio. With all the great destinations in San Antonio like the River Walk and other amazing places to go, you won’t be cut short of any partying you want to do. Let our chauffeurs do the driving while you sit back in our limousines, relaxing and having an ice cold drink. Arrive to the destinations of your choice in style, and turn some heads when you get out of our elegant limousines. You won’t have to worry about driving after the partying either. Our chauffeurs are here to make sure you get home safely after a hard night of party life. Hit the town, have a great time, and head back home after that amazing experience. Our professional chauffeurs will make sure you get to the destinations you want to go to, and you can arrive with class. We will take you right to the front door too, so you don’t have to worry about that long walk from the parking garage. And when you’re done with that location, it’s on to the next in luxury and comfort. San Antonio Top Limo has plenty of limousine options for you. Get the VIP treatment you want with any of our limos. From elegant stretched sedans, to muscular Hummer limos, and up to the giant party bus, we leave the choice up to you. Bring along all of your friends and party on the town. 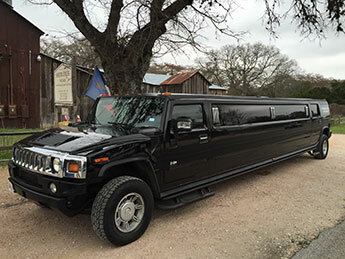 When choosing your limo, be sure to check out our Texas-sized 22 passenger Hummer limousine. If you have the people, we have the space you need to fit them. With our giant Hummer limousine, you can ride in style with tons of your friends who are ready to party. And if that isn’t big enough, hop into our party bus and get ready to hit the dance floor with everybody. And after the locations have been hit, the party doesn’t have to end. Keep it going all the way home in our limousine. After all, you won’t have to be driving at all this whole time, so make the most of it with some awesome music and cold drinks. Give San Antonio Top Limo a call today, and we can hook you up with our luxurious limousines to get the party started.